is the best way to experience it. The scenic Chobe River region is world-renowned as one of Africa’s best fly-fishing destinations. And a stay on one of the three Chobe Princesses or at Ichingo Chobe River Lodge is the best way to experience it. 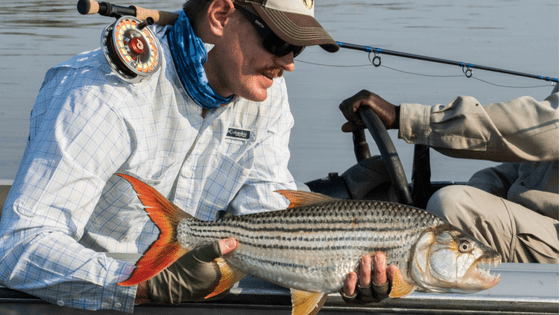 Catch everything from African pike, tilapia, catfish and yellowfish to the legendary Tigerfish on your unforgettable river safari. 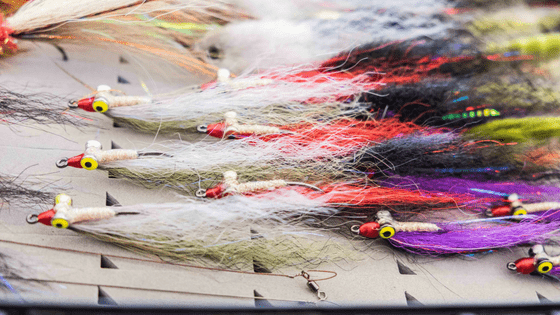 While our highly experienced guides provide all the equipment and advice you need to land your big catch, here are a few tips to perfect your fly-fishing technique as well. Take a moment to inspect the surface of the water and see which insects are in abundance. These are likely to be the food your fish are eating at the moment. Once you have a good idea of the size and colour of their prey, you can choose a lure that matches. This should significantly increase your chances of a successful fishing expedition. Avoid ‘the one that got away’ by ensuring that your rod is flexible and won’t break under pressure. It’s also important to let the fish run while playing them. Practice keeping your rod at a 45° angle to ensure you’re using the full length rather than just the tip. This helps with shock absorption and provides a bit more leeway when hooking and playing the fish. The key to a successful catch is ensuring that your fly floats freely on the water, rather than dragging. It’s a more natural movement, and is less likely to scare off your quarry. Always keep an eye out to make sure your fly is moving naturally with the current and not dragging along the surface. 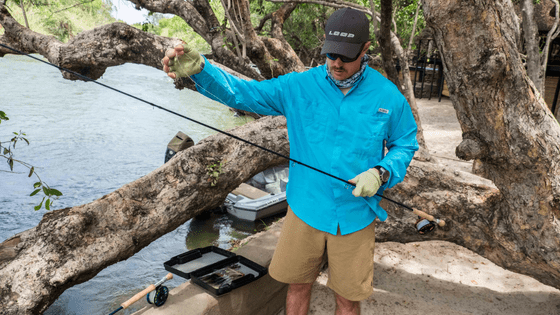 Just like having all the right fly fishing equipment is essential to a successful fishing expedition, so is wearing the right attire and protective gear. It can be cold on the boat in the morning, so layer your clothes and take off the outer layers as the day warms up. The sun and glare from the water can be harsh. Be sure to bring a broad-brimmed hat and polarised sunglasses. Don’t forget to apply sunblock regularly. A finger minder is also great to have, as it protects your hands from getting cut by the line. 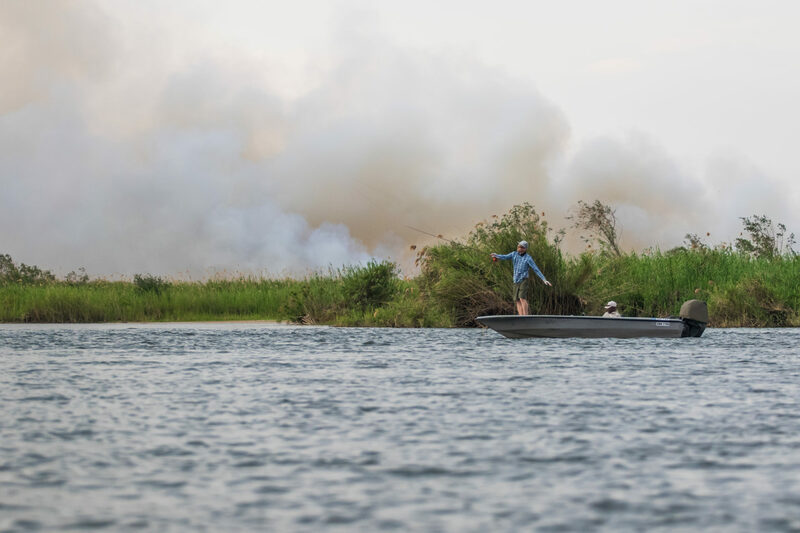 The Chobe River region is a strictly catch-and-release area. So while landing a really big catch is exciting and challenging, it also makes it harder to remove the hook from the fish before releasing it back into the water. Always hold your catch horizontally, supporting its middle section with your hand – never vertically. Wet your hands before handling the fish. And try to keep the fish out of the water for as short a period as possible. Use a pair of forceps, long-nosed pliers or a purpose-made hook-out to quickly remove the hook. Once you’re ready to release, gently hold the fish in the water and wait for it to swim off on its own. We offer both conventional and fly-fishing equipment for our fishing safaris plus our all-inclusive package inlcudes accommodation, drinks, meals, road and boat transfers, tender boats and fuel, fishing guides, park levies and a variety of leisure activities. Put your fly-fishing skills to the test on an exciting river safari cruise with the Zambezi Queen Collection. Book today for just R9 900 per person for a 3 night all-inclusive stay.